Photo Blend portable is uniquely designed software to quickly combine parts of different photos into a new photo montage or composition and to create new exciting photo mash-ups. With its original features such as automatic color adjustment it will give you more time to focus on the creative and artistic aspect of the whole process. And the best part of it is that you will have tremendous fun doing it. Photo Blend is a new generation of photo montage software, designed from the ground up for the purpose of combining objects from several photographs into single composition. Photo Blend employs few fantastic features that are unique among photo editors. 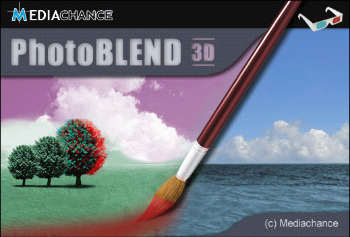 ● Designed for a purpose — Photo Blend was designed from the ground up to be a photo composition software. All the tools are made to help with the task. ● Forgiving Mask — Virtually half of the software is dedicated to masking, but even though we have all the classic masking tools like Magic wand, Mask from Curve or Mask from Hue, simply painting the mask with a brush close to the edge of object is usually the best start. Photo Blend is very forgiving. ● Auto-Color Fit — No need to color correct the images so they have same colors. Photo Blend will automatically do that for you. And it is fully dynamic, as you move the object around the ambient light of the scene is recalculated for best color fit. ● Fully Non-destructive — Everything in Photo Blend can be adjusted at any time and then changed back at any other time. ● Logical UI — Designing Photo Blend from scratch has the benefit of not following classic photo editor paradigms but to best fit the interface for the task. There is no need to hunt in menus, all the most used tools are right on the interface divided into two logical parts — the Composition Mode and the masking Source Mode. ● Extra tools for added fun — Making composition should be fun and we added tools like Liquify to change the expression on ones face or to create a whole caricature of a person. ● Working on Draft, exporting in Full — To speed things up, the designing process is all done on a easy to work with Draft images. When it is time to export Photo Blend will repeat all the steps on a full size images to create the best looking output. ● Live Tools — Using Magic Wand or Mask From Hue creates live mask where you can visually set the tolerance of the tool after it is used. You can use Push/Pull tool to move and shape the mask as if it was a clay. ● Shadow Objects — Creating believable composition without making correct object shadows is just half of the job. From Simple shadows that can be added by moving a slider to a complex object shadows that can be shaped with regards to perspective, Photo Blend has it all. ● Color Adjustments — Each object has set of non-destructive color adjustments as well.